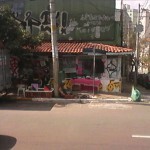 During the night between Sunday 30 October and Monday 31, dozens of buildings were squatted in São Paulo. The action was coordinated by several homeless movements, including the FLM (Frente de Luta por Moradia) and the MMPT (Movimento de Moradia Para Todos). 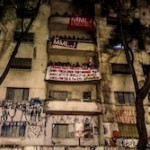 Beyond the struggle for housing, the action was also made in solidarity with the current social movement against austerity measures taken by the government. 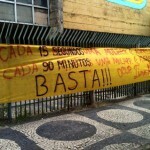 São Paulo (Brazil): Presidency office building occupied during homeless movement protest against government. Last Wednesday, hundreds of people occupied part of the Presidency’s regional office, in the centre of São Paulo, during a protest organized by the MTST (“Movimento dos Trabalhadores Sem Tetos” – Homeless Workers Movement) against the current government. The action has taken place on Avenida Paulista, the biggest street in the centre of the city, with hundreds of protesters. 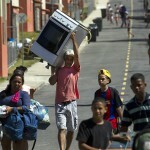 It was organized against austerity policies and the interruption of the national program of public housing construction. 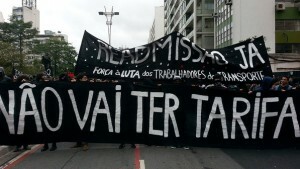 It was also opposing the eviction by the police last Sunday of dozens of homeless activists who were camping in front of the current (Michel Temer) President’s residence as a way of demonstrating against his government. On March 8th, the feminist movement Olga Benário squatted an empty building in the center of Belo Horizonte, with the hope of turning it into a crisis shelter for female victims of violence. Since then, the building is occupied as a place of living for dozens of women, and holds every day gatherings, assemblies, culturals and political events. It also works as a self-managed crisis shelter: a psychological and medical reception center for more or less 200 women who are homeless or victims of violence. 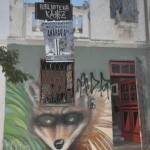 The struggle for the right to the city, against the intensification of exploitation and valorization is complex and diverse. May it be people in Berlin stopping an eviction, squatting houses in Amsterdam, taking squares in Greece or fighting for free public transportation in Brazil. A state with a massive territory, huge cities and as in so many places a classist, racist and sexist division of labour that expresses itself among other ways through the public transportation system. As Anarchist Radio Berlin we had the opportunity to talk with an activist of the Passe Livre movement from Sao Paulo, Brazil, about their struggle. 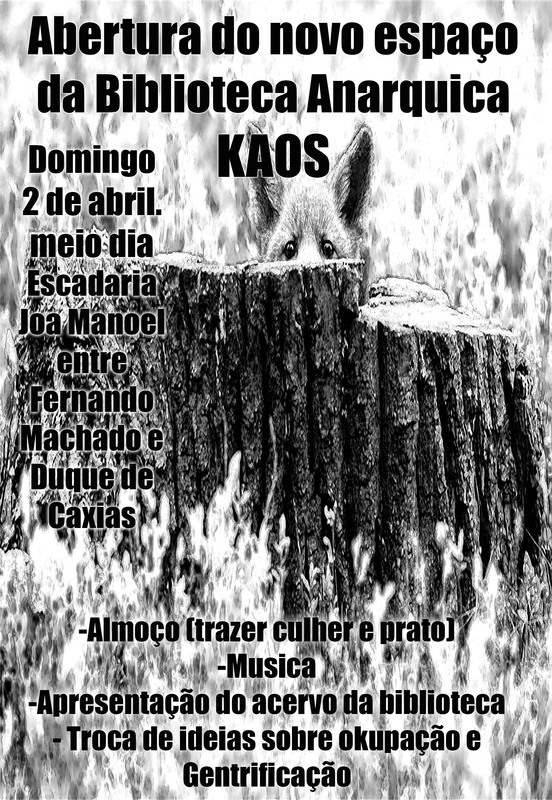 In the city of Sao Paulo, in the centre there is one anarcho-punk occupation called “Quilombo Foraleza”. Since May 16, 2014. 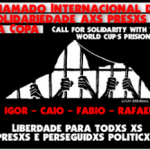 Rio de Janeiro (Brazil): International call for actions in solidarity with the World Cup prisioners. The trials begin on the 16th December.